A member of an agency originally established to ensure no contaminants from human children accidentally cross over. The CDA sprang into action to aid Monsters, Incorporated in its time of crisis. 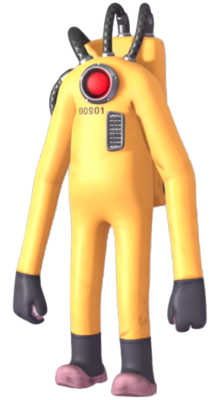 The CDA Agents ("Child Detection Agency") are characters from Monstropolis in Kingdom Hearts III. They originated in the Disney/Pixar film Monsters, Inc. The CDA Agents first appeared in the 2001 film Monsters, Inc. This page was last edited on 13 February 2019, at 14:14.